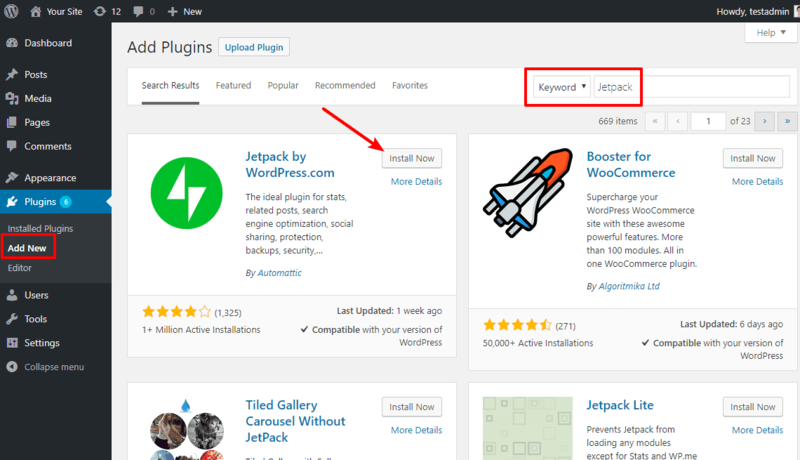 Wondering whether you should use the massively popular Jetpack plugin on your WordPress site? In our Jetpack review, we’ll help you answer that question by covering everything you’d ever want to know about the Jetpack plugin. First, we’ll share more about how Jetpack works and what it can do. Then, we’ll single out some specific features that will make a real positive impact on your website. After that, we’ll run a quick Jetpack performance test and share some thoughts on the pros and cons of using Jetpack with your WordPress site. And finally, if all that other stuff made you want to use Jetpack, we’ll end by showing you how to get started with Jetpack. That’s a lot to cover, so let’s dive in! 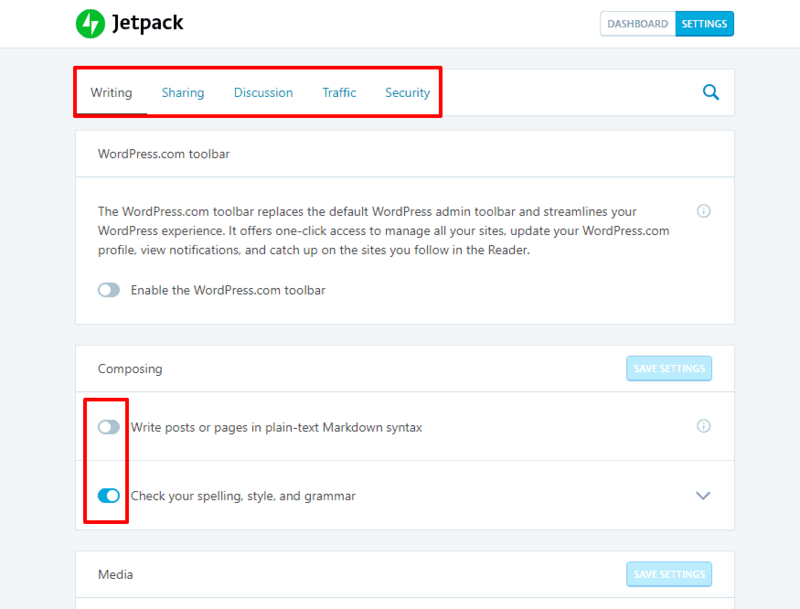 What Is Jetpack In WordPress? How Does It Work? Jetpack is a multipurpose plugin from Automattic, the company behind WordPress.com. 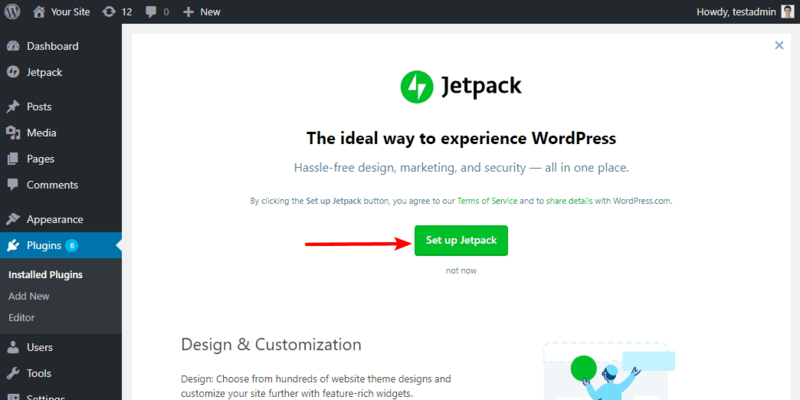 In fact, a big part of what Jetpack does is bring a number of WordPress.com features to your WordPress site, and you’ll need a free WordPress.com account to use Jetpack. Jetpack brands itself as “Hassle-free design, marketing, and security”, and that is indeed a pretty good description of the types of features that you get with Jetpack. 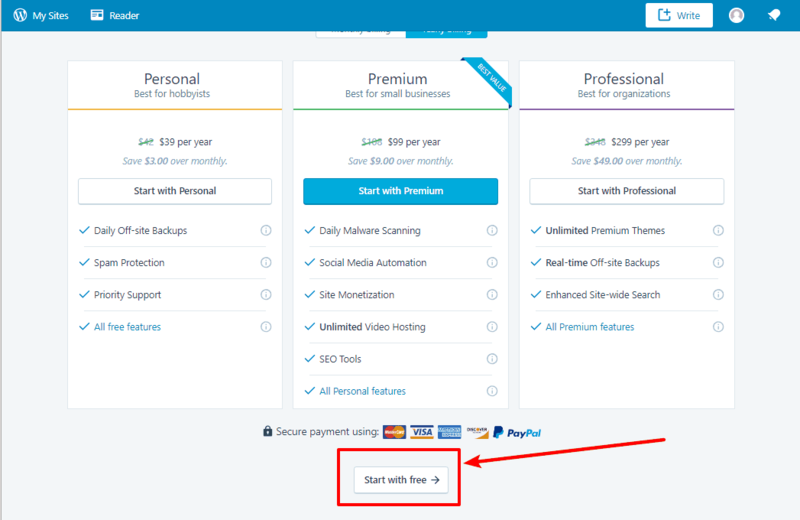 These features come in both free and premium flavors, and the exact functionality that you get access to depends on whether or not you’re willing to pay. 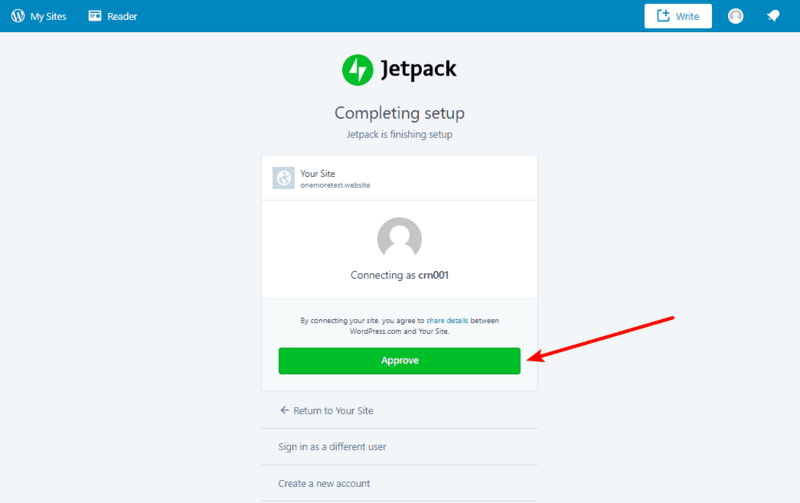 To get started with Jetpack, you’ll need to connect the Jetpack plugin at your self-hosted WordPress site to your WordPress.com account. Then, you’ll be able to enable or disable a dizzying array of features. Let’s look at some specific ways that those features can make your WordPress website better. If you want to see a full list of every single feature in Jetpack, you can head here. For this section, though, we’ll single out the most helpful functionality. Social share buttons help you boost your visibility on social media by making it easy for your visitors to share your content with a few clicks. 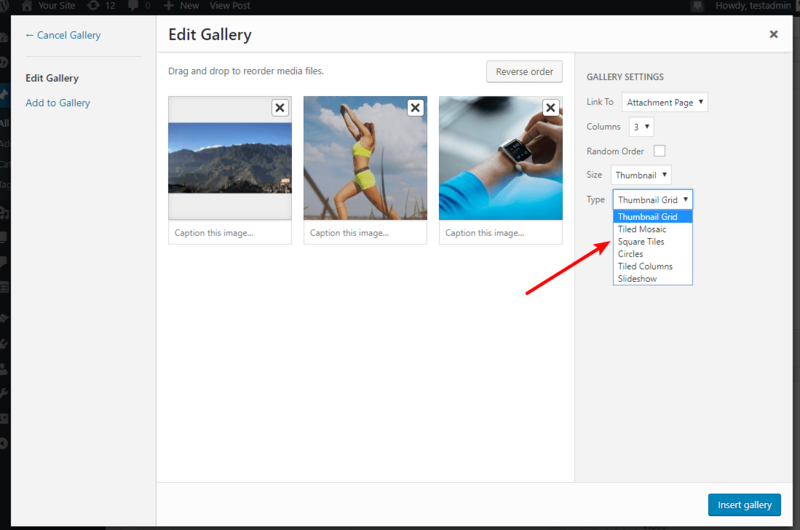 By default, WordPress includes simple image gallery functionality. It works…but it doesn’t look great. 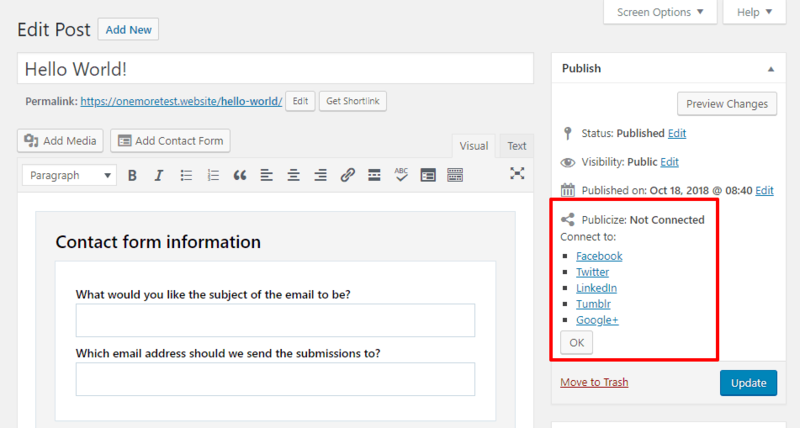 Displaying relevant related content on your posts is a great way to keep your visitors on your site. 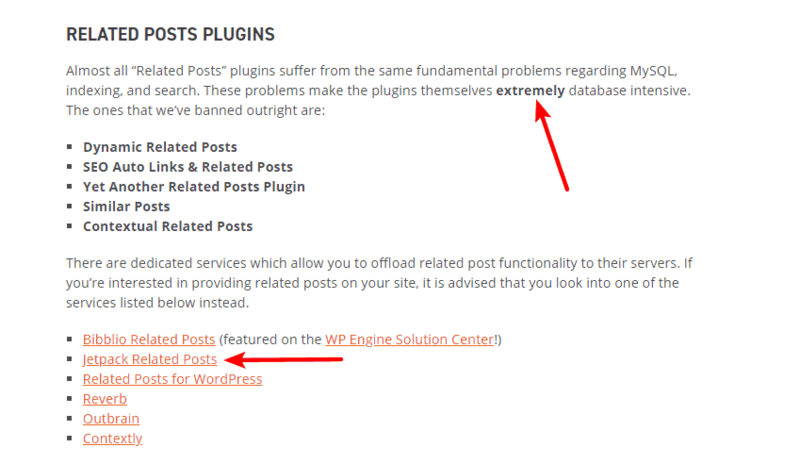 But related posts plugins are tricky because it’s easy for them to slow down your site (that’s why a lot of managed WordPress hosts ban related posts plugins). 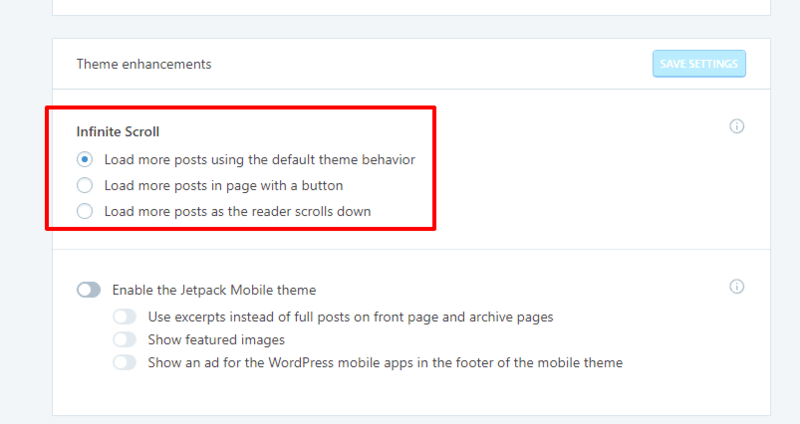 Jetpack’s related post functionality fixes that by offloading the hard work to WordPress.com’s servers. That way, you get all the benefits of great related posts, without slowing your site down! If you’re willing to pay, Jetpack can automatically back up your site and safely store those backups via its VaultPress service. Backups are essential and VaultPress is a very convenient way to implement them. 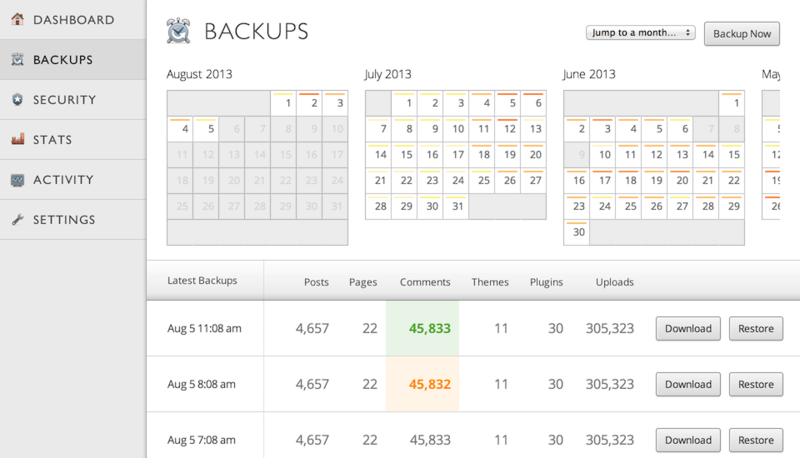 With that being said, there are also quality free backup solutions, like UpdraftPlus. This is another paid feature. Beyond just backing up your site, VaultPress can also scan your site for malware and help you fix any issues that it encounters. Like the backup functionality, it’s a convenient way to keep your site secure, but you can also find quality free security alternatives like Wordfence. Social login – readers can use their Twitter, Facebook, or WordPress.com accounts to comment. Comment likes – visitors can “like” other people’s comments. 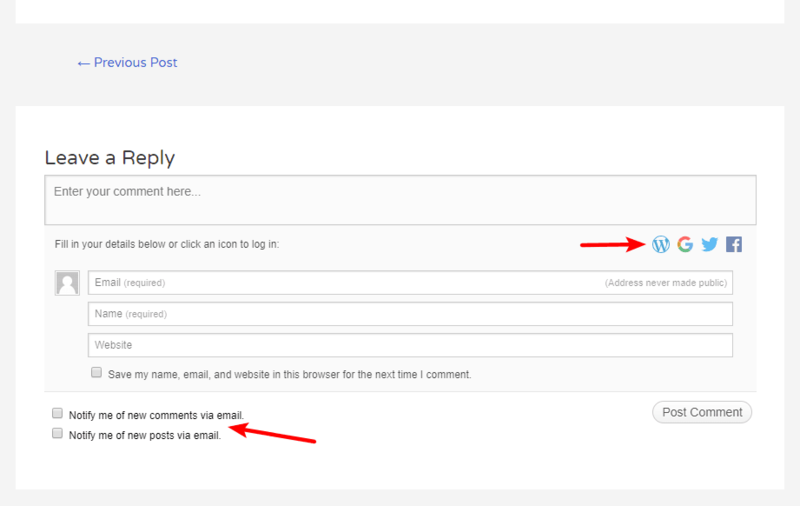 Email subscribe – visitors can subscribe to receive comments via email. 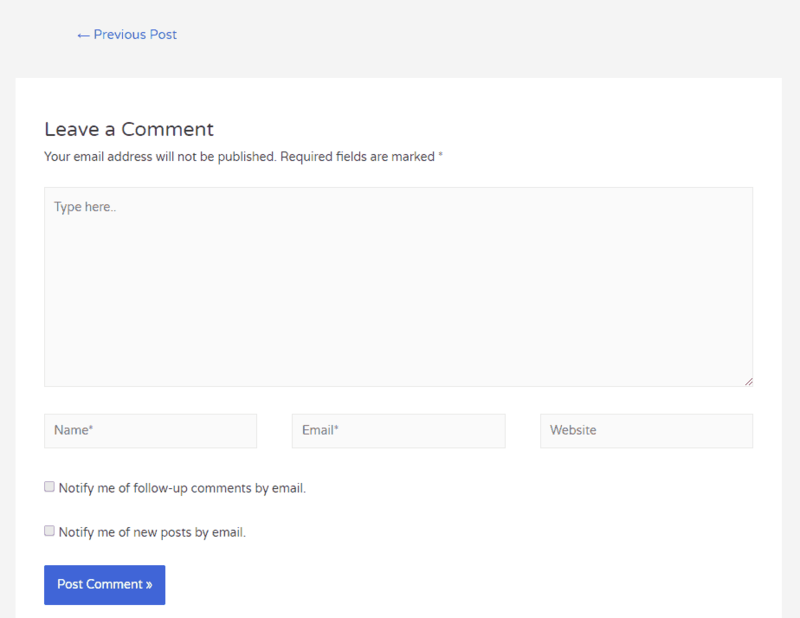 One thing that is disappointing is that if you use the social login feature, Jetpack completely replaces your comments form, which means it might not look as good as your theme’s comments styling. The quality of WordPress’ built-in search function is something that a lot of people complain about. 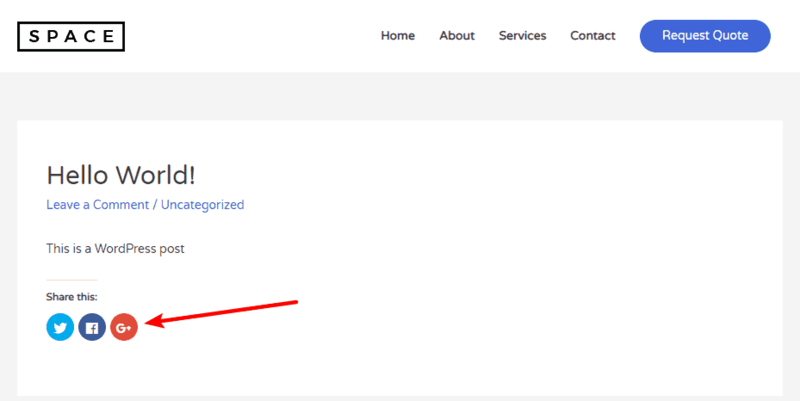 Paid Jetpack users can fix that with Jetpack Search powered by Elasticsearch. Without getting into the technical details of Elasticsearch, the most important thing is that it speeds up your search, lessens the load on your server, and offers highly-relevant results. You saw this in the screenshot above – but Jetpack can also help you speed up your site’s image load times with the Jetpack Image CDN (learn about what a CDN is). Then it’s still a win and a good way to speed up your site. With infinite scroll, your site keeps loading new content as a user scrolls down. That creates the “neverending scroll” effect. 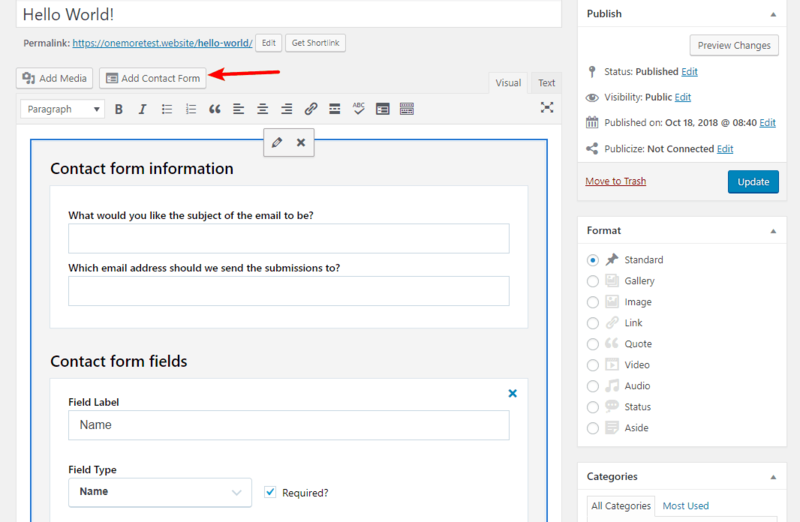 Once you connect your website to your WordPress.com account via Jetpack, you’ll be able to manage your site and create content from the WordPress.com interface (as well as your normal WordPress dashboard). If your site weren’t working right this moment, would you know? 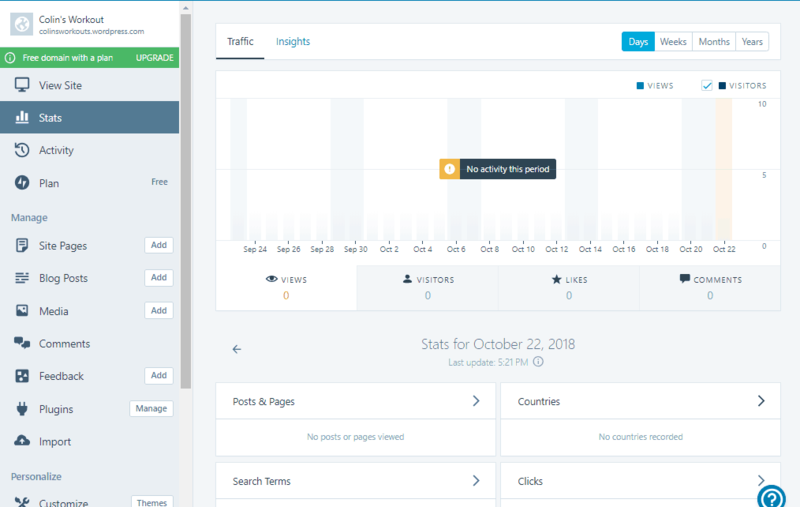 Jetpack’s downtime monitoring functionality helps you avoid the awkward situation where your website is unavailable but you don’t know about it. With this feature, Jetpack will check your site every 5 minutes to make sure it’s still available. And if anything does go wrong, Jetpack will send you an email so that you can fix the issue. Jetpack lets you automatically turn Google Docs content into a WordPress draft, including all of your Google Docs formatting. So that’s a lot of helpful features, right? Some people think that because Jetpack packs in so many features, it will slow down your site’s page load times. So…will it? Does Jetpack slow down your site? Let’s find out! First, here’s the thing you need to know about Jetpack’s features. While you can use all the features if you want, you also don’t have to use every single feature because Jetpack is modular. That is, as you saw above, you can toggle specific features on or off right from the Jetpack interface. If you disable a feature, it’s not going to run, which means Jetpack’s impact is even lower. There’s definitely an increase in page size and HTTP requests, but you can see that the overall page load times didn’t move too much. Additionally, it’s important to remember that adding a similar number of features with third-party plugins will have a similar effect. You’d be adding 10+ different plugins to match Jetpack’s functionality, so it’s natural that Jetpack will have a noticeable impact. To sum up, you should try to only use the truly essential Jetpack modules, just like you should only use truly essential third-party plugins. Beyond that, there’s nothing unique about Jetpack that will slow down your site. Let’s get back to that question from the beginning now – should you use Jetpack on your site? Lots of features in one package. You saw the list above! The interface is easy to use. For most of the features, you can turn them on or off with just a few clicks. Modular. You can pick and choose only the features you actually want. Free. It’s also backed by Automattic, which should give you confidence in its longevity. There’s a “jack of all trades, master of none” situation. 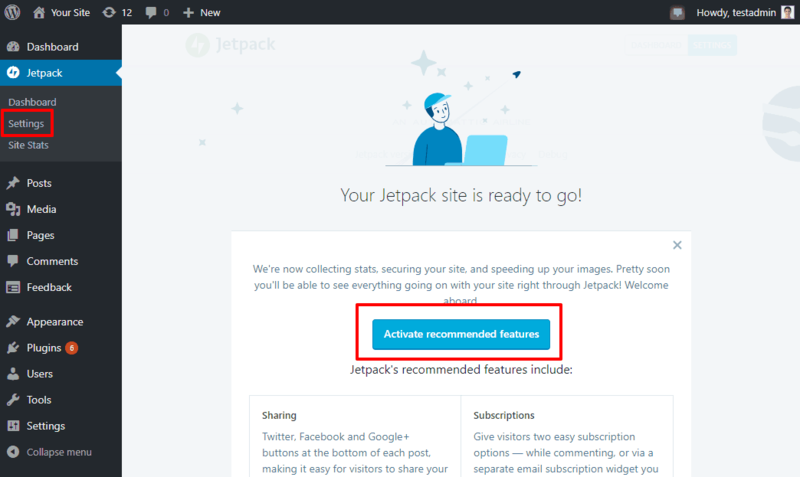 Jetpack does lots of things “ok”, but you’ll get more functionality with a dedicated plugin. For example, if you want more flexible forms, you’ll be happier with a dedicated forms plugin vs Jetpack’s form functionality. Privacy. Some people don’t like that you’re forced to connect your site to WordPress.com. Another point of entry for malicious actors. If someone were to gain access to your WordPress.com account, they could take over your website. We saw this happen back in May. 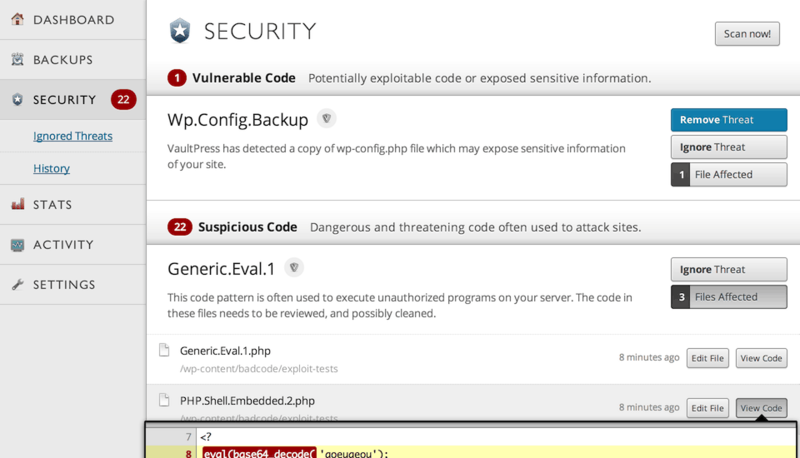 Make sure you choose a strong WordPress.com password and keep it secure if you use Jetpack. Once you give your approval, Jetpack will present you with a price list that makes it seem like you need to pay to continue using Jetpack. That’s not the case! Have any other questions about the Jetpack plugin? Let us know in the comments and we’ll try to help out! Colin Newcomer is a freelance writer for hire with a background in SEO and affiliate marketing. He helps WordPress businesses grow with engaging, well-researched content.